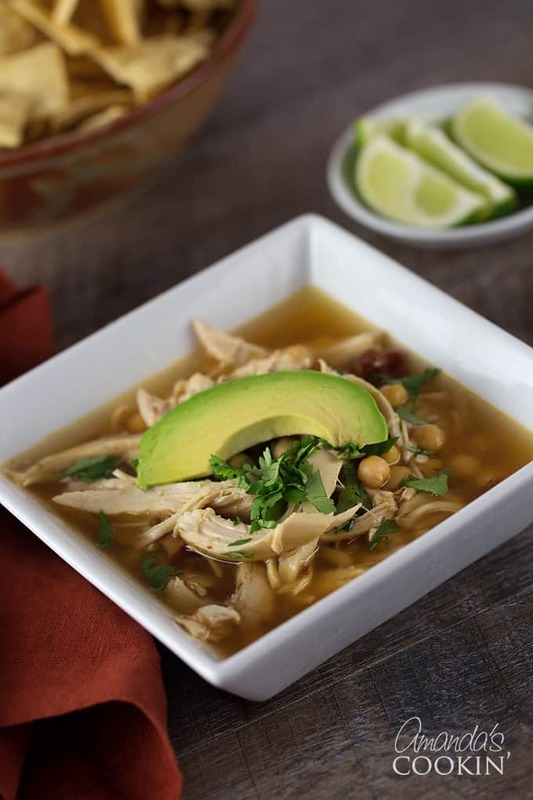 Chipotle Chicken Soup: spicy, satisfying, and packed with protein! 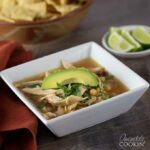 This chipotle chicken soup was delicious and super easy to make! Definitely heartier than our favorite fideo soup, it’s a great recipe to make in a pinch for a last minute dinner or lunch. The addition of avocado and chickpeas give this soup a yummy taste while still being loaded with good protein and healthy fats. You can also squeeze a little bit of lime over the top to add another punch of flavor to this spicy and filling soup! Doesn’t soup give you that “warm” feeling? It does for me. Soup reminds me of cuddling up on the couch and getting comfy on a rainy, chilly, or snowy day. It’s definitely a comfort food for so many people. That’s another reason I liked this soup so much, it made me feel cozy and warm when the weather outside wasn’t that. I think it helped that this particular soup was indeed, spicy. 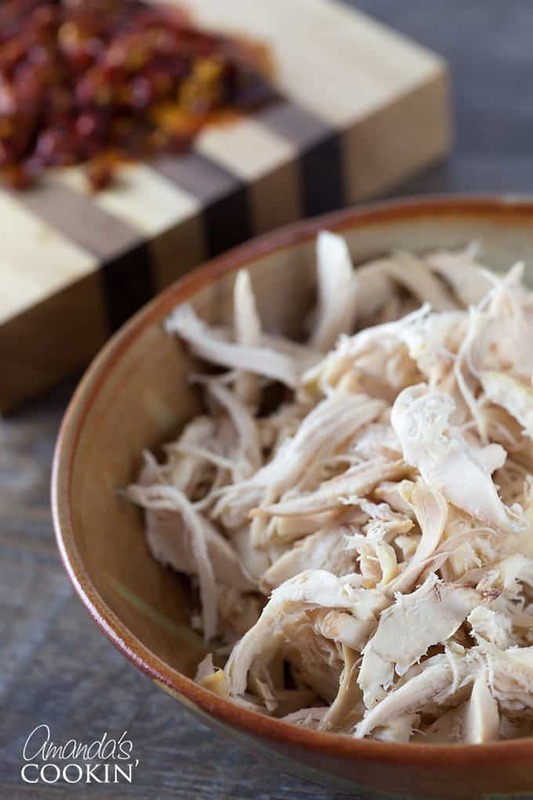 The chickpeas and chicken fill you up with protein and give you that full and satisfied feeling. Before you know it you’ll be snoozing on the couch. This recipe comes from the 300 Sensational Soups cookbook in which they suggested making crispy tortilla chips to accompany the soup. Just throw some of those crispy, golden, fried tortilla chips on the top and it adds the perfect amount of crunchiness to your soup. I’ve included the recipe on how to make them below. Next time I make this soup I might add in some red potatoes or other vegetables to give it even more depth, so feel free to play around and add what you think would taste good! In a saucepan heat 3/4″ oil over medium heat until it registers 350 F on a candy thermometer. Add tortilla strips, in 4 batches, and fry until crisp and lightly golden, 30 to 45 seconds. Using tongs or a slotted spoon, remove tortilla strips to a plate lined with paper towels. Season to taste with salt. Let cool and use within 3 hours. 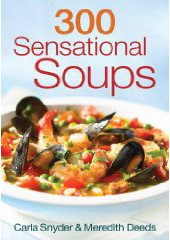 Click for 300 Sensational Soups cookbook! In a large pot, bring stock, garlic, chipotles to taste and pepper to a boil over medium-high heat. Reduce heat and simmer for 15 minutes to blend flavors. Add chickpeas, chicken and salt to taste. 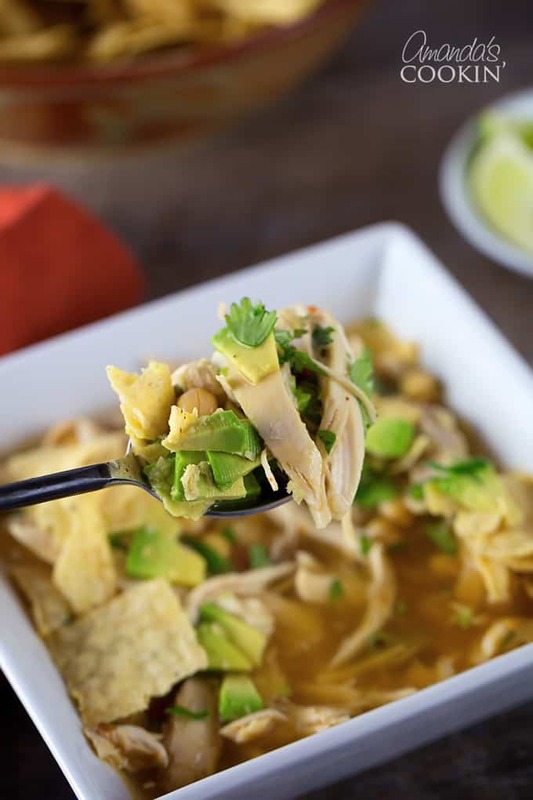 Ladle into heated bowls and garnish with cilantro, avocado, tortilla strips and lime wedges. 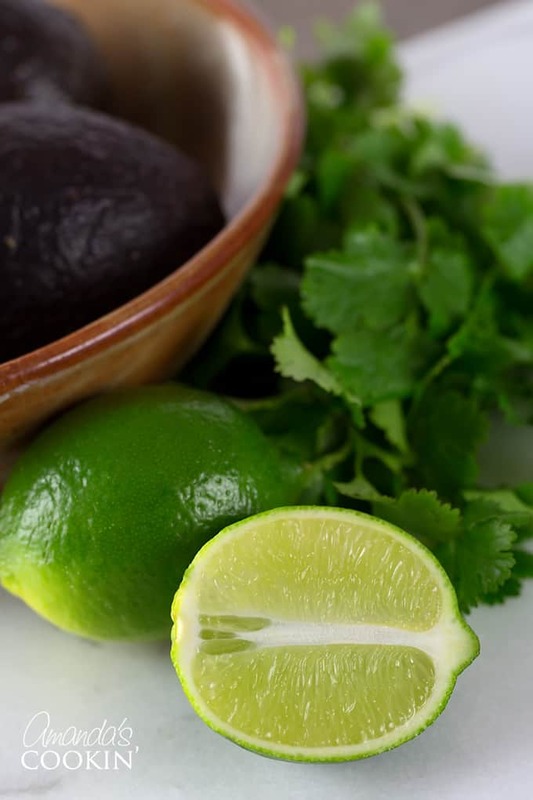 Diners may squeeze the lime over their soup, if they desire. So yummy! I hope you all enjoy this spicy chipotle chicken soup. It’s definitely a recipe to hang on to! What are your favorite soups to make? Looking for more soup ideas for dinner or lunch? This Italian Sausage Tomato Orzo Soup is a popular and delicious soup! Also, I recently made this Asparagus Soup, and it was so good! I know I will be making that one quite often! This post was originally published on this blog on Oct 22, 2008. 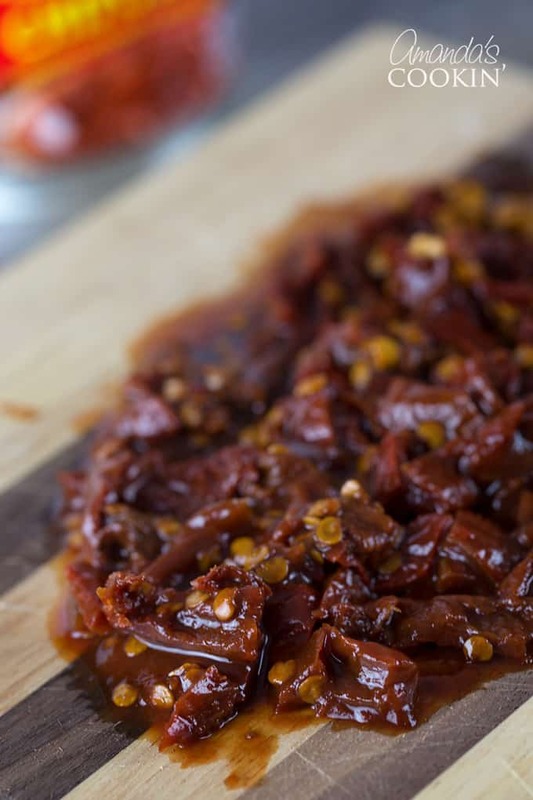 In a large pot, bring stock, garlic, chipotles to taste and pepper to a boil over medium-high heat. reduce heat and simmer for 15 minutes to blend flavors. Add chickpeas, chicken and salt to taste. So simple and SO delicious. Those chipotles are EVERYTHING here- and I couldn’t be any more excited about them. Saving now! Amanda, I make a similar soup for my family here in Austin. DO try the lime squeezed on top. It does sound bizarre but it adds another dimension to the soup! Also, to cut a few calories, we cut up the tortilla strips in skinny strips, mound them on a pizza stone and bake @ 250 for an hour, stirring and remounding a couple of times. They come out crispy and crunchy, without the added fat. Love your site! This sounds very fresh-tasting and delicious! 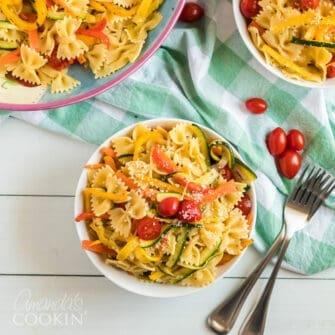 Recently found your blog and I’ve been enjoying checking out your recipes! This soup reminds me of one I tried recently that had the chicken and chipotles but used sweet potatoes and I really enjoyed the mix of flavors. It’s a Rachael Ray recipe on the Food Network site (Smoky Sweet Potato Chicken Stoup). I love chickpea soup. So filling and satisfying. I’m sure you could sub out the garbanzo beans with any other favorite bean–Great northern, small white, pinto, pink, or red–any mix of these would be good in this type of soup. Yummy! I love soups like these. I need to give this one a try when it cools down a bit around here. Looks great! I love spicy soups so I bet I’d like this. I would have to add more stuff to it or my family would think that I’d lost my mind trying to get them to eat chickpeas. LOL!! This looks fantatic! I love that it has chickpeas in it. Great photos.